The Bowen Technique can help balance the rider, improving suppleness, feel and response. This is performance enhancing and also helps to prevent injuries incurred due to the bodies imbalances and helping reduce recovery time should injury occur. 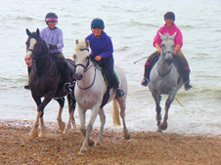 Correct riding can be achieved by constant emphasis on balance and feel. Treat yourself to a Bowen Technique Treatment and you will both enjoy the riding experience so much more. Any correction to the horse will not hold unless the rider is also balanced. If you are investing in Bowen Therapy for your horse it would be worth considering Bowen Therapy for yourself. If you have been having problems with your horse on turns and circles, canter lead, jumping, or you can't get the paces just right, consider your own balance and feel in the saddles. Your Equine Bowen Therapist has rebalanced and aligned your horse, you can feel the difference in his responses and paces, imagine the difference if you felt as balanced and supple as your horse does now! 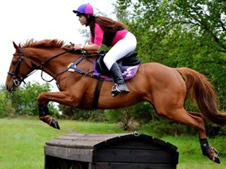 It doesn't matter whether your enjoyment is hacking round the countryside or speeding round Badminton horse trials, the benefits are just as exciting. Equine Bowen Therapy (EBT) helps horses and ponies of all types and standards, from foals, to competition horses to older retired horse. 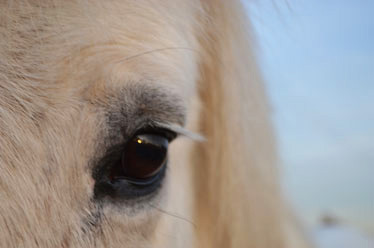 Small ponies which won't canter or jump may well be experiencing pain or discomfort which could be relieved by a course of EBT. Likewise, your trusty hack who has become irritable when groomed or difficult for the farrier to shoe may well be feeling sore over the back. EBT is an excellent tool as an integral part of fittening horses, either from being rested from injury or from increasing the work load with the competition in mind. 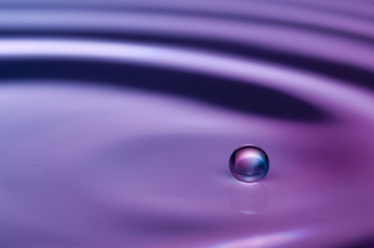 Recovery from injury is helped due to the way the treatment works to promote the body to self heal. Mares being prepared for breeding and after they have foaled greatly benefit from EBT. Initially it adds balance and wellbeing to the mare and skeletal alignment giving the best possible chance of conception, through to helping the mare to cope with strain of birthing, realigning her body again and helping to ensure good quality milk production. 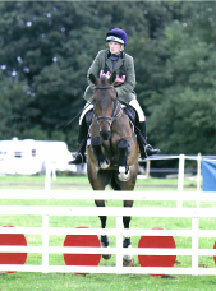 In August 2009 I bought my first horse. It was quite quickly apparent that Barney was not what we were expecting. From the very first week he was aggressive to handle , he would not hack alone, he would not show jump and there was no chance of him ever going near a cross country jump. His answer to everything he didn’t want to do was rear, spin round and switch off completely. After a year of trying every traditional method and alternative therapy I could think of I considered selling him. Then I discovered Bowen Therapy on the internet, called Karen, and since that day we have never looked back. 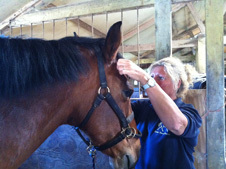 Bowen is not really one treatment, it includes a whole host of things including animal psychology and saddle fitting. Because of this holistic approach we found the cause of his behaviour. Barney was not evil like everyone said; he was in a huge amount of pain. His saddle was far too tight, despite me having it checked by other people, and was causing pain in all his muscles and muscle wastage. Of course he wouldn’t want to jump or have anyone come near him when he was in that amount of pain. 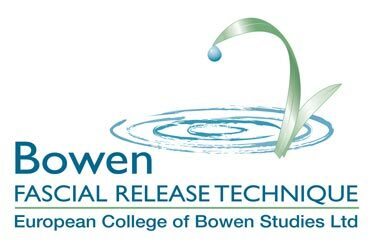 Having the Bowen treatment means his muscles have been loosened and he can now relax and work properly. Using the exercises recommended to me has built muscle back from behind the saddle making his job easier and I have now learnt to spot the signs when he is telling me something is wrong; no horse is naturally nasty but that is the only way they can tell us it hurts. 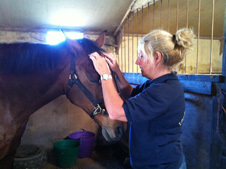 Barney has regular Bowen treatments now to ensure that as he strengthens and does more work he is still comfortable. It is the most amazing and unusual technique. To watch it looks like very little is actually being done but the results speak volumes and it can be used to treat a whole range of problems. Karen was able to spot problems with saddle fitting that traditional fitters didn’t as she combined it with her knowledge of the Bowen technique and how the horse’s muscles work. Everyone from my vet to my farrier to my instructor have noticed a huge change in Barney, by the fact that he will now jump a course of jumps but also that he is much happier in his personality. I would recommend Equine Bowen Therapy to everyone, whether their horse has a problem or not; even using it for general maintenance has huge benefits. Less than a year ago I had a horse that would not trot over a trotting pole, and I had become so jaded by constant stress and disappointment that I was happy to give up riding altogether. Now I successfully compete on a happier and willing horse. For allowing that, both Barney and I owe Karen and her fantastic Bowen Therapy everything. or to arrange an appointment.